An evening with David & Stan in Perth, Western Australia Outback Coast Sea Life Festival 28 April to 5 May 2002, Exmouth WA. For more information on how to participate at ADEX 2002, please contact Ms. Michelle Tay at tel: +65 332 9629, fax: +65 332 9655/ 3374633 ([email protected] ) or Ms. Pannida, at RAI Exhibitions (Thailand) Co., Ltd., tel: +66(2) 960-0141 ext 114, fax: +66(2) 960-0140 or email to [email protected]. Asian Geographic Magazine, Scuba Diver Australasia magazine & OceanNEnvironment proudly present 'Celebrate the Sea' staged in conjunction with ADEX 18 - 21 April, 2002 in Singapore and the Outback Coast Sea Life Festival 28 April to 5 May 2002 in Exmouth Western Australia. Photographers have until 2 April 2002 to submit their entries. Forms are available in the January issue of BBC Wildlife magazine or from the web site www.nhm.ac.uk/WildPhoto. Ultralight Control Systems, inventor of the original pivot for the Nikonos and housed cameras, has come out with a new pivot for the Tetra Digital housing. The pivot enables you to go from a horizontal format to vertical format with a push of the lever in less time than it takes your strobes to recycle. Vertical photogrpahs are now as easy to take as standard horizontal ones. This is especially helpful when using two strobes. Light & Motion continues to move forward in Underwater Digital Photography with the introduction of the "Titan". 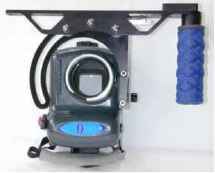 The Titan is a "professional" housing that ushers in a new class of underwater digital photography. The Titan housing provides full camera control in a user friendly layout. Housing provides access to both the optical viewfinder as well as the 1.8" LCD screen for instant feedback and accurate subject composition. Viewable data screen provides the user with all camera information. Flat port is standard and optional lenses can be changed underwater, so you will never have the right subject and the wrong lens again. 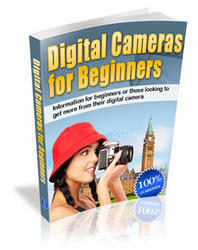 Olympus E-20n and E-10n SLR Digital Cameras. 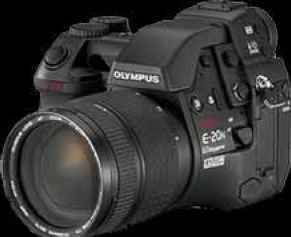 The Olympus E-20 is a 5 megapixel SLR that includes a 35-140mm lens, 4x optical zoom and high speed auto focus. The E-20 supports both Smart Media and Compact Flash which provide massive storage capabilities that enable the user to save hundreds of high resolution images. in holding the pivot and housing. Ultralight's base adapters will need to be added and then you can use Ultralight Control System's arms. Suggested retail price is US $174.95. The tetra housing is made by Light and Motion Industries for the Olympus 2000, 3000, or 4000 series digital cameras. The Aquatica 995 allows you to control all functions of the Nikon Coolpix 995 Digital camera. The A995's ergonomic design positions the viewfinder at a 45 degree angle, allowing for perfect handling. The wide angle lens on this versatile housing can be removed underwater to adapt to any situation. The housing comes with a standard TTL bulkhead. the A995 is made of aluminum and all controls are double o ring sealed. Engineered exclusively to support the capabilities of Nikon's critically acclaimed new N(F)80D and N(F)80S SLR AF cameras, the NX-80 housing bridges the gap between amateur and pro systems. It provides fast and accurate Dynamic Autofocus, 10-segment 3D Matrix metering, five separate AF detection sensors, focus tracking, focus and exposure lock, 2.5 fps continuous shooting, and the new "On-demand Composition Assist Focusing Screen." complemented by Sea & Sea's unique one-touch self-locking button system, adjustable hand grips, and oversized, easy-access shutter release and autofocus lever. 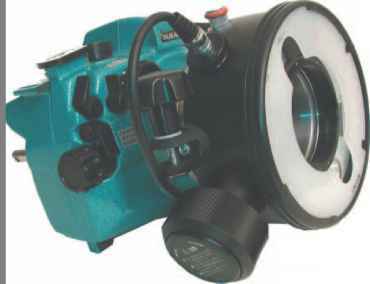 It features an external focus mode selector that enables autofocus and manual focus selection underwater, incorporates an MSC switch, built-in circuitry for a shutter-activated focus light, and a safeguard leak detector. The finder delivers a bright and contrasty high-eyepoint image, the illuminated LCD data panel provides clear and legible readouts. 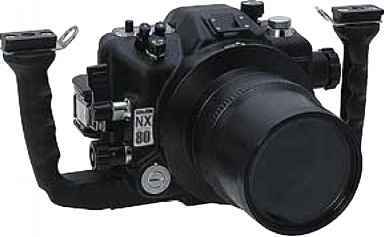 The NX-80 incorporates Sea & Sea's exclusive Quick Shoe for single-step, tool-free camerato-housing assembly. An integrated system of bayonet mount flat and dome ports accommodate acomprehensive selection of Nikon and Sigma lenses, all with exclusive companion gears. The system is TTL compatible with Sea & Sea's celebrated lineup of strobes.